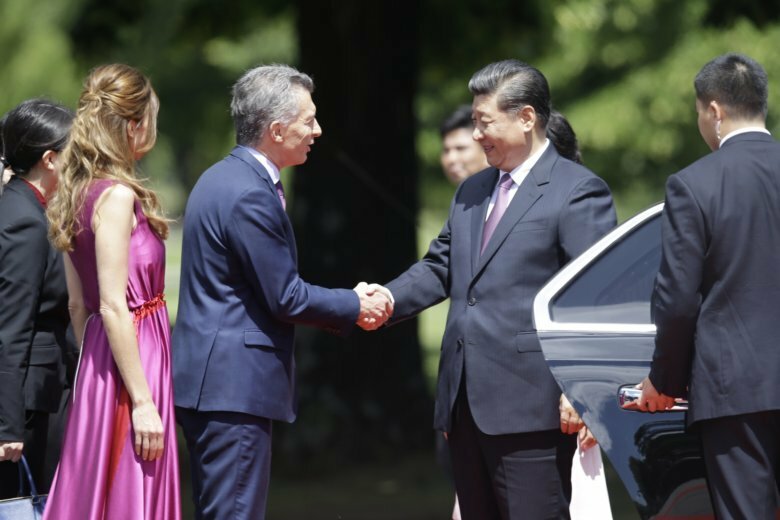 BUENOS AIRES, Argentina (AP) — China’s president signed new trade deals with Argentina on Sunday as the Asian giant expands its growing role in Latin American economies. Presidents Mauricio Macri of Argentina and Xi Jinping of China announced the more than 30 agriculture and investment deals during a state visit following the Group of 20 summit in Buenos Aires. The deals include an agreement to export Argentine cherries to China and an expansion of a currency swap. China is among Argentina’s top export markets, especially for agricultural commodities that are the engine of its economy. It is also one of Argentina’s biggest lenders, financing about $18.2 billion in infrastructure and other projects, according to the Inter-American Dialogue, a Washington-based think tank. “China’s development benefits Argentina, our region and the world,” Macri said during a ceremony at the presidential residence in the outskirts of the Argentine capital. “We have complementary countries. There are few countries in the world that can buy so many of the high-quality products that we’re capable of making,” Macri said. The visit comes after U.S. officials said they had reached a 90-day truce in the trade dispute with China that has rattled financial markets and imperiled global economic growth. That announcement followed a Saturday dinner meeting between Xi and President Donald Trump. Argentina also granted Xi the top honor awarded to foreign politicians, and the Argentine polo association gave the Chinese leader a polo horse. The South American country is home to the world’s top polo players, and Macri said that he wants the sport to make a comeback in China. Photos released by Argentina’s presidency showed a smiling Xi petting the pony with one hand and holding the reins with the other. Macri also put a red polo helmet emblazoned with China’s flag on Xi’s head. Xi then flew to Panama, which has been negotiating a free-trade deal with China after shifting its diplomatic recognition to Beijing from Taiwan last year, a move that led to complaints from U.S. officials. Chinese companies operate ports on both ends of the Panama Canal, which for most of the 20th Century was seen as a symbol of U.S. influence. Xi was met at the airport by Panamanian President Juan Carlos Varela, and the two leaders planned a private working meeting Monday. The Chinese leader also planned to visit the Cocoli locks on the Pacific end of the canal.